She was whispering around me. I had to close my eyes as the smoke from the candles and the paper burning was getting stronger. Suddenly she stopped walking around me, she sat and started hitting the little people drawn on the paper. Hitting them on the head and feet, hitting strong. Then she got a tiger also made of paper, wrapped everything together and set on fire. As it burned she kept talking with the Gods, to make sure I’m free from all evil spirits and bad people. This intense experience happened during our Hong Kong itinerary, a trip full of tourist attractions and some amazing local experiences. 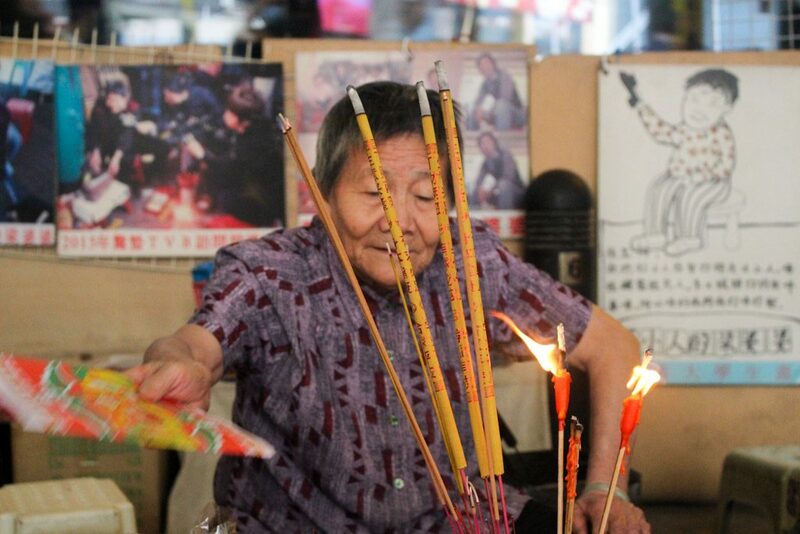 This ritual is called the “Vilan Hitting”, and until now I can believe it all happened in the streets of Hong Kong. Our whole trip to China was full of surprises, first was Xi’an with the Terracotta Warriors and adventure, then Macau with luxury hotels and cultural attractions. And the last 5 days we visited Hong Kong, explored the city tourist spots and also going out of the beaten path. Our Hong Kong itinerary was busy, full of things to do and see. Before the trip we did a big research to find out what to do in Hong Kong, top attractions and how we could understand more about the city. We wanted to see the shops, the skyscrapers, the lights and modern side of Hong Kong. But we also wanted to find unique things to do in Hong Kong, experiences that could connect us with people. 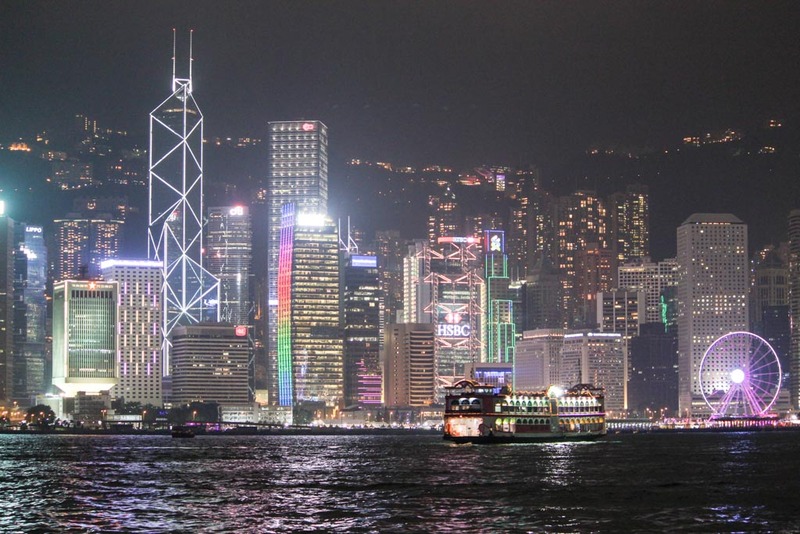 What to do in Hong Kong: top attractions and places to visit! We believe everybody has a different pace of travelling, that’s why our Hong Kong itinerary is a list of things you can do in 5, 4 or 3 days in Hong Kong. 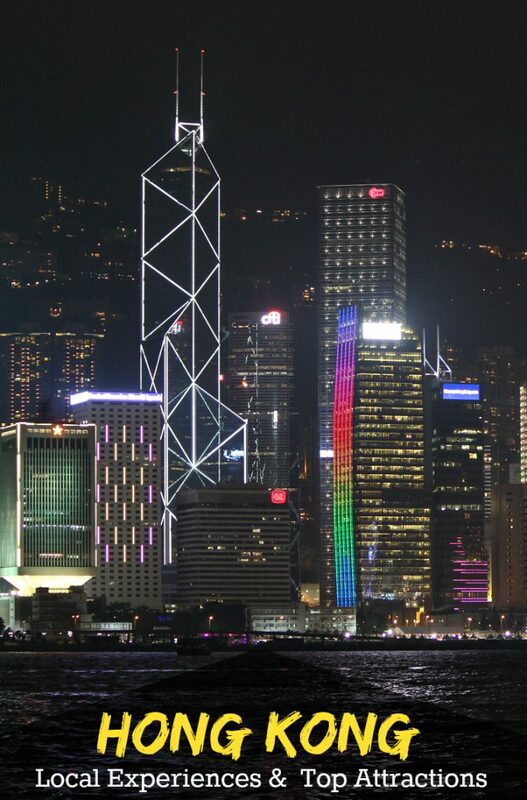 It is a gorgeous view-point above the Hong Kong Island that reveals a stunning cityscape by day and by night. Together with the tram ticket you can buy the pass to the Sky Terrace and get a 360º view for the city. If you are travelling to Hong Kong on a budget you can buy only the tram ticket as the views from the normal deck are also beautiful. 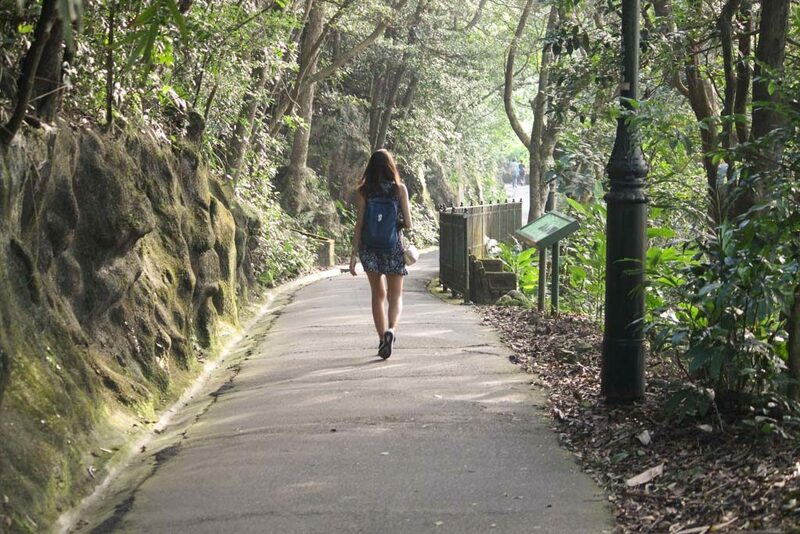 If you don’t mind a little walk, venture yourself on the Hong Kong Trail, a 3.5 km circle walk around The Peak. We did it and the views were stunning! The only downside of visiting The Peak is the huge queue for the tram tickets. Of course, the tram ride to the top is a nice experience, but I’m not sure if it was worth the almost two hours waiting in line. It’s organized, but it’s tiring especially in hot and humid days. You can go to The Peak by bus too, the bus number 15 pass by the ferry piers and by the Exchange Square bus station. It’s one-hour bus ride and you will pass by many neighborhoods in town. 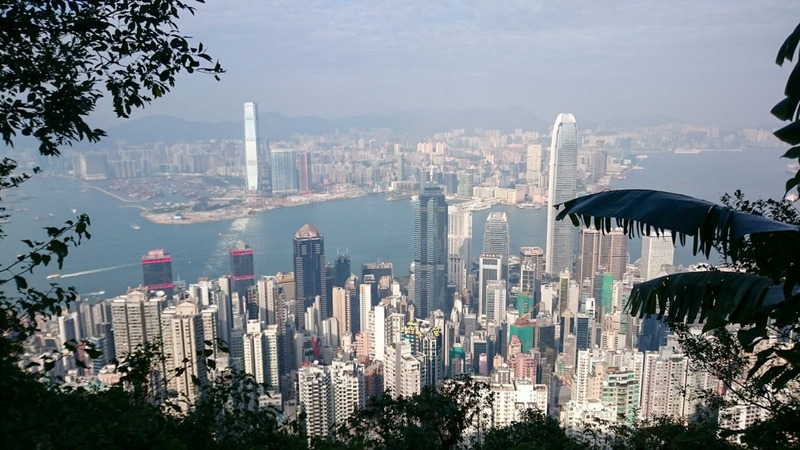 If you are up to some local experience in Hong Kong, the bus to The Peak might be a good option. This impressive and picturesque temple, halfway up The Peak, is dedicated to two gods; God of Literature and God of War. 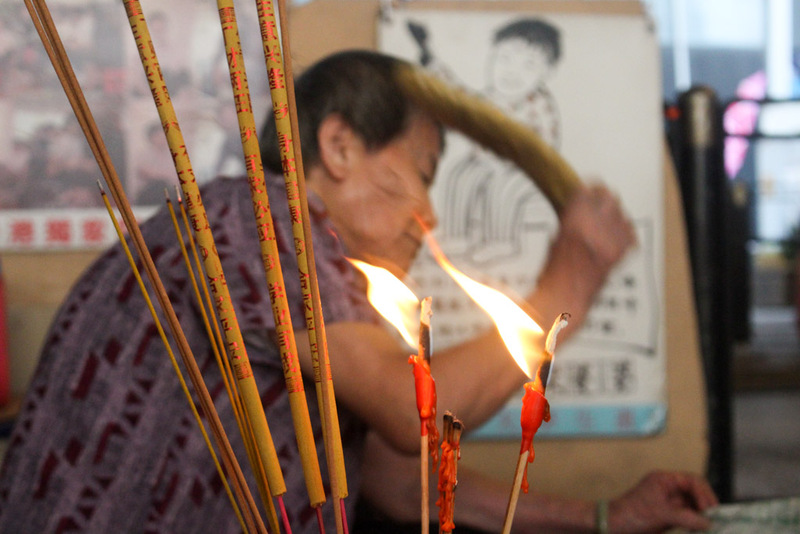 Many believers come to this oldest temple in Hong Kong to pray before exams and similar academic tests. Today, this temple is listed as a Grade I historic building and a Declared Monument. 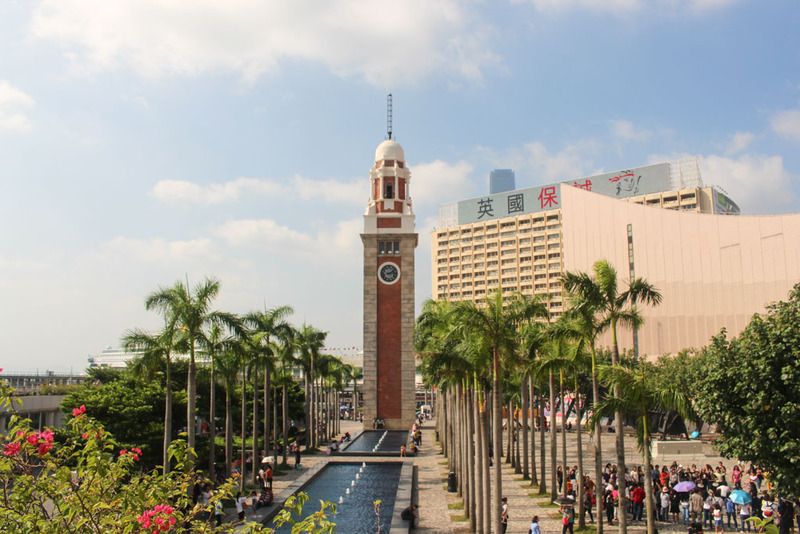 It is one of the top attractions in Hong Kong, a beautiful promenade that stretches all the way from the Clock Tower to the Hung Hom. A stroll down this amazing promenade will give you a magnificent view at one of the world’s most impressive city skylines, especially stunning during nighttime. Grab some ice cream and sit by the Clock Tower, relax while watching people pass by. If you go early in the morning you might spot some groups doing Tai Chi Chua and meditation. During the evening the Promenade gets really busy, the area is a hot spot among tourist and locals, with bands playing and kids running around. This is the Walk of Fame of the East. 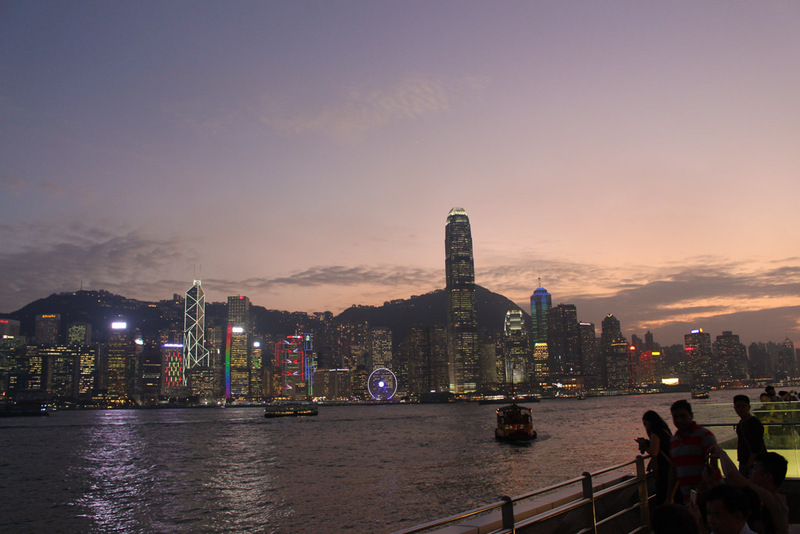 A promenade settled along the Victoria Harbour with a fantastic view at the Hong Kong cityscape and beautiful figures, statues and plaques of famous Hong Kong celebrities including Bruce Lee and Jackie Chan. The venue is currently under renovation, should be open to the public by the end of 2018. Some sculptures were moved to the Garden of Stars. The statue is a large bronze statue also known as the Big Buddha. Located in Lantau Island, it symbolizes the relationship between human and nature, peace on Earth and prosperity of China. It also became one of the most famous places to visit in Hong Kong and a masterpiece of the modern Buddhist sculptural art. This Buddhist temple is also settled in Lantau Island, just across the Big Buddha statue. There you can enjoy impressive iconography of the monastery, beautiful gardens that surround it and even have a nice meal in the vegetarian restaurant nearby. Even though today there is a proper and modern infrastructure that connects the Hong Kong Island with Kowloon, ferry rides are still a fun and enjoyable way to cross the Victoria Harbour. It is a cheap, fast, interesting and unique way to enjoy the city and get from one point to another. It is a colorful temple built in the 1950’s, settled uphill, containing more than 10,000 Buddha statues, from small to life-sized ones. The hike uphill might leave you a bit breathless, but the thing that will certainly take your breath away is this stunning temple, a true gem of the East culture. I know it sounds strange, but explore the streets by foot is one of the top things to do in Hong Kong. This is the best way to appreciate the architecture, to see the modern side of the city contrasting with old chinese heritage. 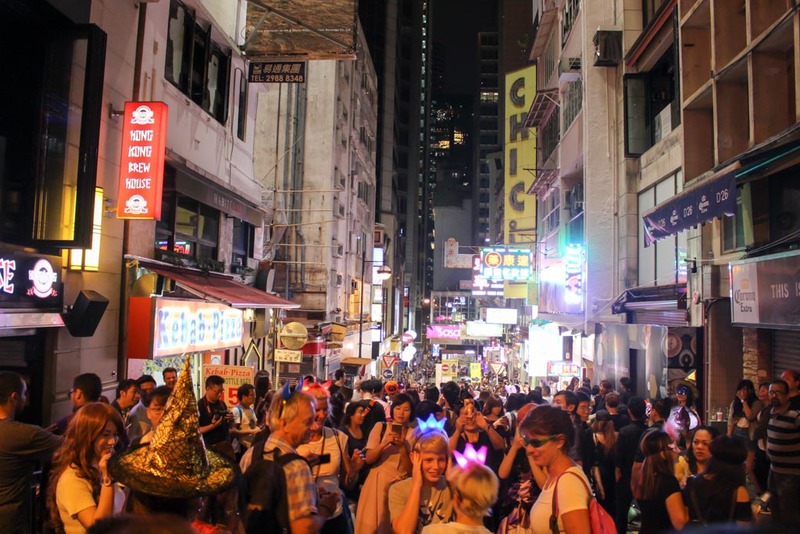 Now that you know the unmissable things to do in Hong Kong during the day, let’s talk about night attractions. For me, Hong Kong gets better after sunset, when all the streets light up, food stalls stretch their tables over the streets and people leave their work to enjoy the well-deserved happy hour. The Clock Tower itself is a great historical place and a beautiful reminder left of the colonial times in this part of the country. Built in 1914, this 44 m high construction was one of the most famous places to visit in Hong Kong. And it’s the perfect spot to watch the magnificent Symphony of Lights show. The Symphony of Lights happens everyday at 8pm, and you can watch the lights dancing across the city from the Clock Tower, the Tsim Sha Tsui Promenade, the Victoria Harbour and mostly from everywhere in the waterfront. The lights and beans dance according with the music, but depending on where you are you can hear it or not. A good tip: arrive early so you can get a good spot in front of the harbour. The Temple Street Night Market is a top attraction in Hong Kong. The market stretches between Jordan Road and Kansu Streets and the stall are open as from 4pm. 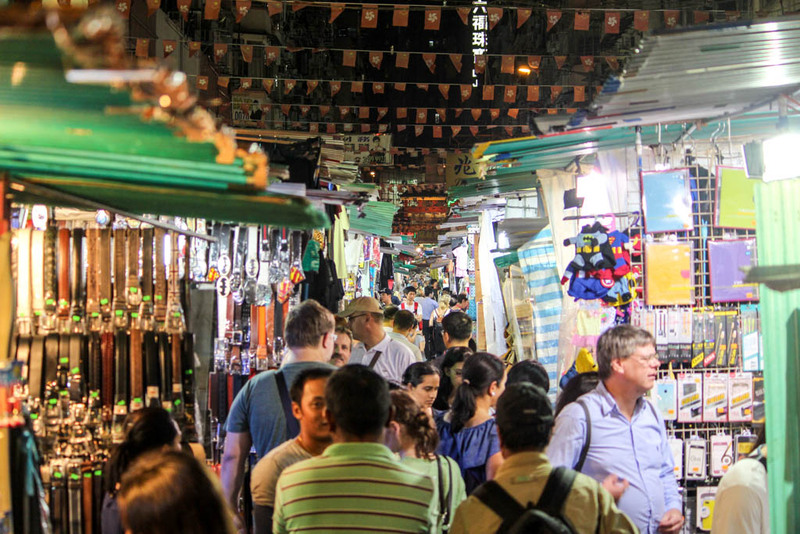 Although is only after dark that the streets get busy with avid vendors, curious tourists and smell of food. The market is safe, stroll around, find a place to eat and stay until late so you can catch the fortune tellers, opera singers and much more. If you feel like buying, don’t forget to bargain. At the market all prices are negotiable. Soho is an upscale area of Hong Kong Island perfect for drinks and dine. It’s full of bars, restaurant, art cafes and expats. If that’s too fancy for you give a try to the bras at Lan Kwai Fong, close to Soho is has a more laidback vibe and more than 90 bar/restaurants you can choose from. This is the perfect spot to celebrate events or special holidays. We were there during Halloween and had so much fun. 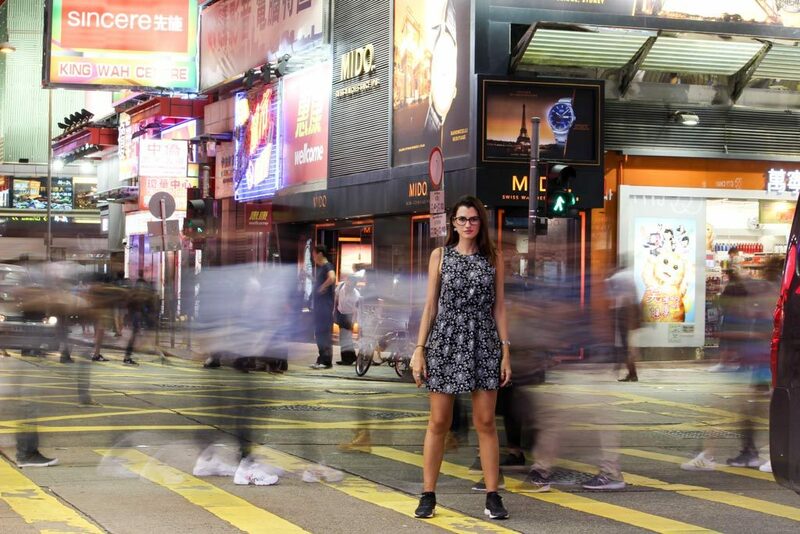 Mongkok is an interesting area on Kowloon side, packed with shops, shopping centers and huge buildings, this is the busiest part of Hong Kong mainland, but don’t let all this superlatives scary you. This is the place to go for a nice bar hopping among locals, for craft beers or cat cafes that stay open till late at night. If you are not in the mood for drinks, go for the street food and the lights. The streets of Mongkok are amazing, the shiny billboards are a spectacle. We were lucky to be in Hong Kong during the Wine and Dine Festival, one of the biggest and most delicious events in town. 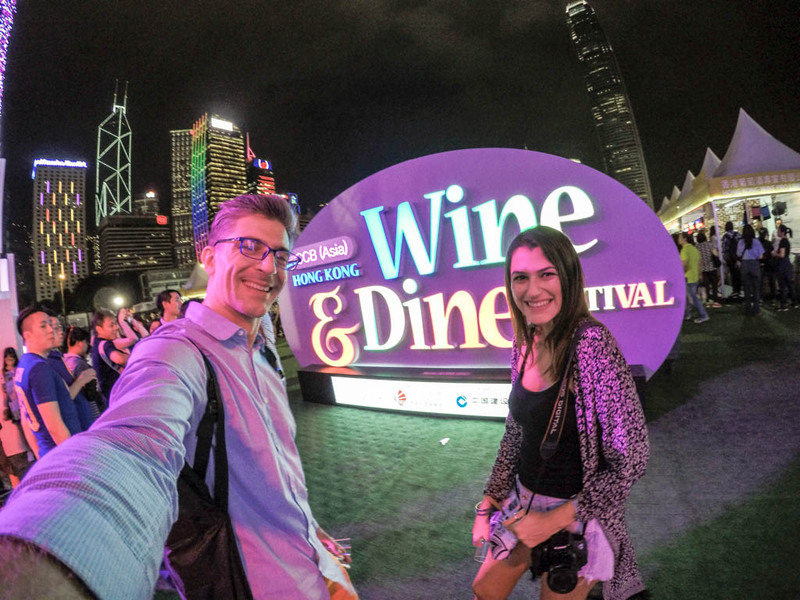 We manage to squeeze in our Hong Kong itinerary one night at the festival and it was amazing. Super organized, with great selection of wines, food stalls from all around the world and great shows. My only regret is that we went only to the last night of the festival, if I knew it would be so good I would have manage to to visit the Wine and Dine more times. Now let’s talk about unique and unusual things to in Hong Kong. Discover this different side of Hong Kong is not easy, you’ll need to go beyond the tourist attractions and find a local person to guide you. We really wanted to see more of Hong Kong daily life, so we decided to do a tour, but not a normal touristic tour. We talked with the guys from Buffalo Tours, the same company we choose to visit the coffee plantations in Thailand, and did the trekking in Sapa Mountains, Vietnam, and they suggested us to do the Backstreets of Hong Kong Tour. 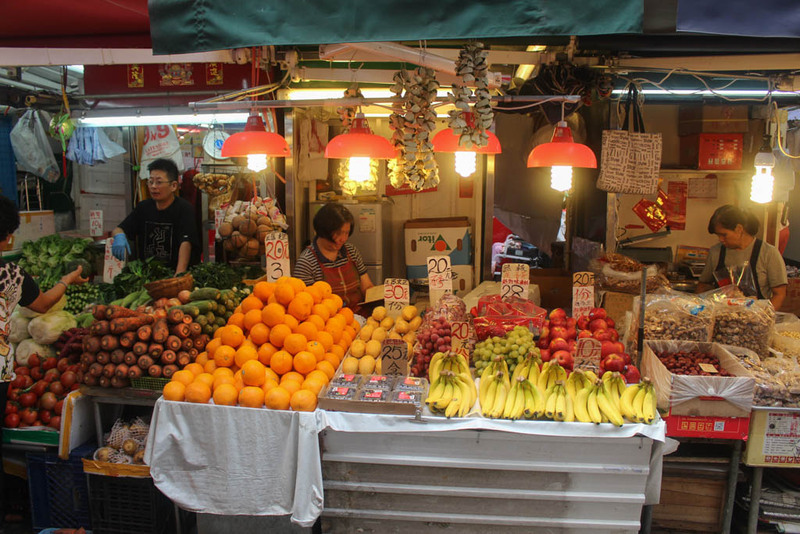 The tour was spot on, it took us to a local neighborhood to visit a wet market, eat some fresh fruits and learn about Hong Kong daily life. After the market we passed by an old Chinese temple to pray for the Gods and discover some local superstitions. Next stop was one of the oldest public housing estate in Hong Kong, where a lovely old lady was waiting for us to play Mahjong. This ancient Chinese game is their favorite hobby, they spend hours playing it. She tried to teach us the rules, but we couldn’t understand the Chinese writing on the pieces, what made the game a super fun experience. As I always say, travelling is not about places, but the people you meet on the way. Talking about people, our next encounter was even more interesting and unique. After the Mahjong game we jumped on a Ding-Ding, the double-decker tram that dates back to 1904 and cross the Hong Kong Island. Our stop was in the heart of the city where we were going to do the Villain Hitting ritual. I don’t believe in voodoo, but I do respect religion and culture, so I decided to try it. This old lady sits under one of the viaducts praying in front of a little shrine and waiting for people to come. As we arrive she promptly stood up and handle us a piece of paper with little people drawn on it. Our local guide translated the conversation and asked me if I have someone that it’s on my way or causing me trouble. I said no, so the women started praying to expel the bad spirits and any other evil that might cross my path. 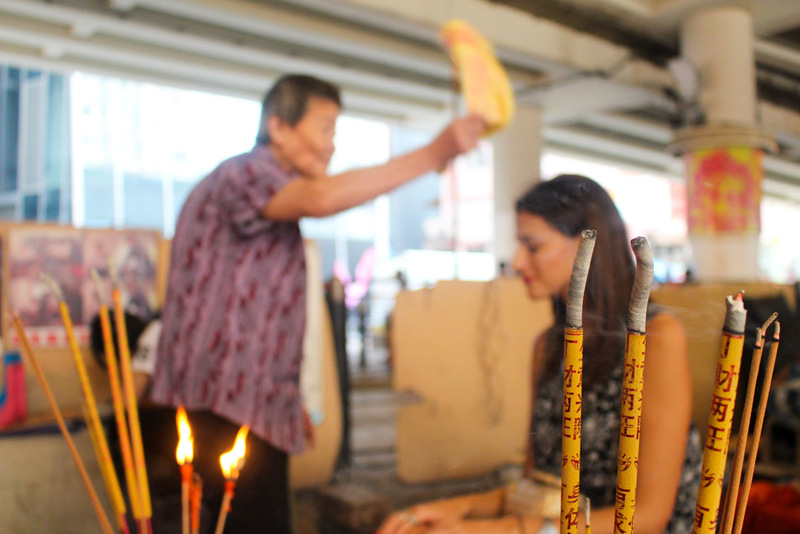 Candles, incense, prayers and the whole ritual happened in the middle of the pathwalk. After all the whispering, hitting the little people and burning everything, she asked to the Gods if they were going to protect me, and they answered yes. So for now on there is no evil on my way! We’ll never know if what happened was true, or if it’s only superstition. The point is that Hong Kong people have been doing this for so many years, and after me there was a queue with old and young people waiting for the Villain Hitting. I was amazed to see that in such modern and capitalist city the ancestral religion and rituals are still alive. Our tour started at 9AM and the morning flew by. We discovered unusual things to do in Hong Kong, visited local temples, food market and meet local people. Even with the language barrier we could see and feel that Hong Kong is more than highrise buildings, shining lights and shops. Probably you will arrive at Hong Kong International Airport, to find the best flights and connection check Kiwi website, they have a really cool tool to search for connecting flights and price comparison. From the airport you can get the train to central station, busses and even limousines. You can find the all the details at the Hong Kong Airport website. If you are coming from Macau, you will be arriving in Hong Kong by boat. Depending on where you are staying you can get a ferry from Macau to Hong Kong Island or Kowloon. On our trip from Macau to Hong Kong we used the Cotai Waterjet ferry company and it was a smooth trip. Public transportation in Hong Kong works perfectly, even with heavy traffic. We used busses, metro, tram and even ferry. To make your life easy buy an Octopus Card as soon as you arrive in the city, to up with 50 HKD and use it in all public transports. And don’t worry if you don’t use all the credit, before leaving Hong Kong you can retrieve your money back. This is central, you are close to all the shopping malls, upscale shops, western restaurants and fancy bars. You are in the heart of the business center and it’s a great hub for public transportation. In this region you find the best hotels in Hong Kong as The Mandarin Oriental, Conrad Hong Kong, Four Seasons and Grand Hyatt. 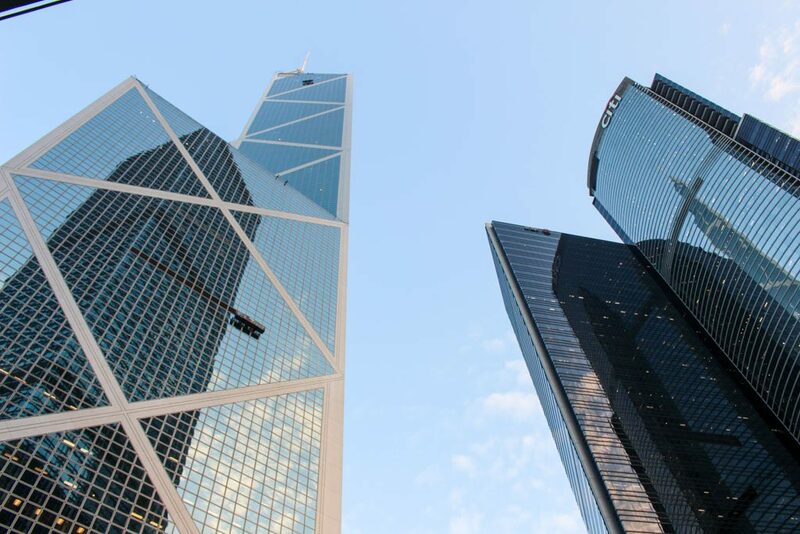 If you want to stay in this premier location in Hong Kong, the options of hotels are endless, check here our recommendation of the best hotels in Hong Kong Island. This is one of the best areas to stay in Hong Kong because of the diversity. There you find luxury hotels and some budget option too. It’s well connected with public transportation and has plenty of shops and restaurants. The Peninsula and InterContinental are some of the top hotels in Tsim Sha Tsui. For budget options, you can look at Chungking Mansion, a huge building with over 900 units where you can find cheap accommodation, Indian restaurants and any type of shop you can imagine [some people would say this is a dodgy place]. Check here to find more hotels in Hong Kong Tsim Sha Tsui area. These neighborhoods are a bit far from the city center, but you are still close to metro stations and plenty of buses routes. If you don’t mind spending some time commuting check the list of budget hotels in Hong Kong we found for you. And don’t forget to search on Airbnb, we stayed close to Whampoa in a cozy and clean apartment. The owner was a lovely girl, she explained everything about the city, how to get around and helped a lot with our Hong Kong Itinerary. Sign up for Airbnb here and get a discount on our first booking. Start your trip to Hong Kong in a saving mode. Now you know how to plan your holiday in Hong Kong. Attractions, places to visit and even some unique experiences. If you follow our suggestions I’m sure you Hong Kong itinerary will be full of exciting activities. If you have any doubt or comments leave your thoughts below. If not, it’s time to pack your bags and travel to Hong Kong. 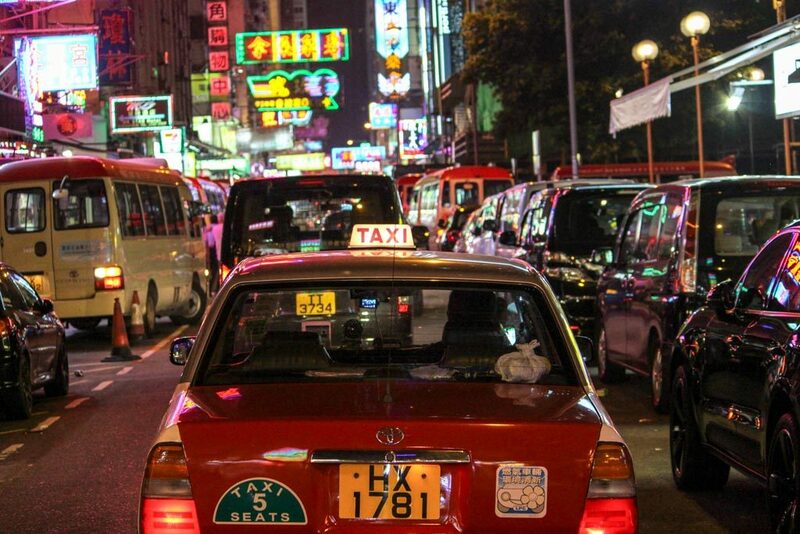 I have never been attracted to HongKong…too much buzz, too much modernity, too many jarring lights. Is the Peak where people go to get away from it all? It looks like a haven of peace. Good post, though…very informative. Loved the introduction ! Hong Kong is a super busy city, and for sure it’s not for everyone. I love big, noisy and messy cities and Hong Kong has a special place in my heart. The good thing is that around all that craziness you can find some relaxing and green spots as The Peak, other parks and beaches. 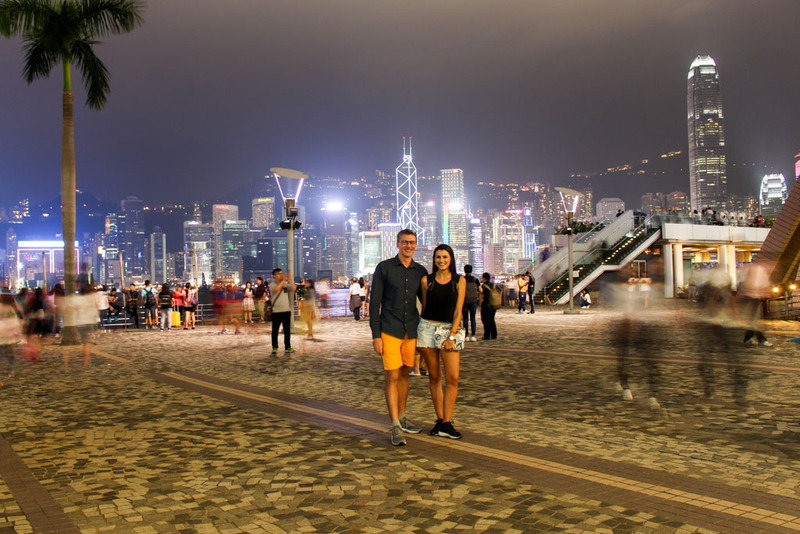 There is so much to see and do in Hong Kong – thank you for such a detailed post! Thank for the tip of the Octopus Card too – it would definitely make transport easier having an initial top up estimate instead of topping up every other day. I’m a big fan of public transportation, and I believe we can save money and time using the metro and trains to get around such busy city as Hong Kong! Good comprehensive guide for Hong Kong. For long this has been in our plans. The city seems to be a good mix of traditions and technology! Great pictures. Hong Kong is an interesting mix and if you have the chance go visit it. I’m sure you gonna love it! Quite an extensive and detailed itenerary for HK. Have been there a few times and have covered almost all aspects, but it still remains a place that never stops to amaze me. The Peak is a wonderful place and I would have added Disney to the list. The Wine and Dine festival looks like something I would really enjoy. You are right, Hong Kong is a city full of surprises even for a traveller that have visit t many times. We didn’t visit the Disney, but I bet it’s great fun! What a helpful Hong Kong guide. I’d love to see it from different perspectives, first from the peak and then from the water via the ferry. The nightlife looks crazy fun! Thank goodness you got a good report from your villain hitting experience. I’m not sure I’d want to know, but maybe I’m just too superstitious. I’m glad everything ended up well with my Villan Hitting experience, but to be honest I was a little bit concerned and scared. But no doubt was an experience I will remember forever. It looks amazing. Hong Kong is one of those places I have always anted to visit. I love all the night activities in Asia. It seems like it turns into a completely different place with all the food stalls, vendors and such. For me, that is always the best time to wander around and get to know a place. The backstreets tour seems like it is right up my alley. Totally agree with you, Southeast Asia is the place to explore after sunset. There is so much life, things happening and good food that you can spend hours wandering around. That is one place full of life. Have a plan to visit HK after my Thailand trip. Let me see if that happens. Fingers crossed, hope you can make it! Hong Kong is super interesting and unique city! I’m impressed, you guys got a lot in during your time in Hong Kong!! Seriously one of the most dynamic cosmopolitan cities in the world. Thanks for putting together such a comprehensive guide of things to do! If you get back I highly recommend Tai Cheong Bakery; best egg tarts in the city! Hong Kong is definitely a paradise for food lovers, and it would deserve an entire blog post with yummy tips. We didn’t try the egg tarts from Tai Cheon Bakery, one more reason to go back! Your introduction was so powerful that i had to read entire post. Vilan Hitting is intriguing. Thanks for giving such a detailed post on Hong Kong. Have bookmarked for future. The Villain Hitting experience was really powerful and something I never expected that would happen in a city like Hong Kong! I absolutely love Hong Kong! Even if it’s pricey, it’s something that everyone should be ticked off their travel list. I went to visit HK with my family we had a fantastic time while we were there. You are so right, Hong Kong is worth the visit, it’s such a unique and incredible city! Hong Kong is my favorite destination. I love food and sight seeing there. By reading your blog, I found that I have missed many interesting here. Should go back again :). Thank you.